These sounds delicious, I've been stocking up on my cans of pumpkin. 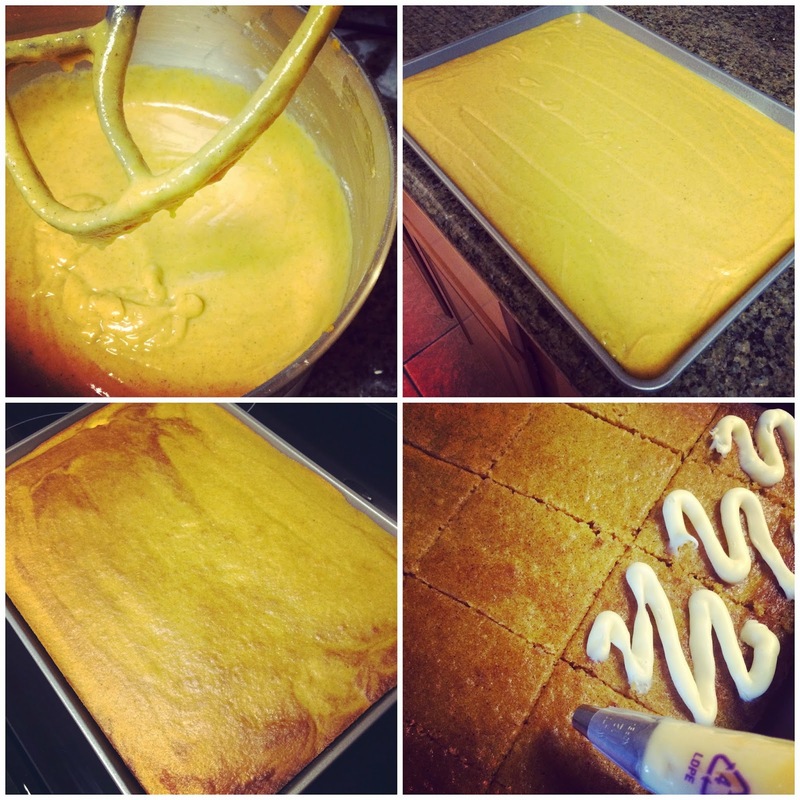 These sound easy to whip up fairly quickly, thanks for sharing! 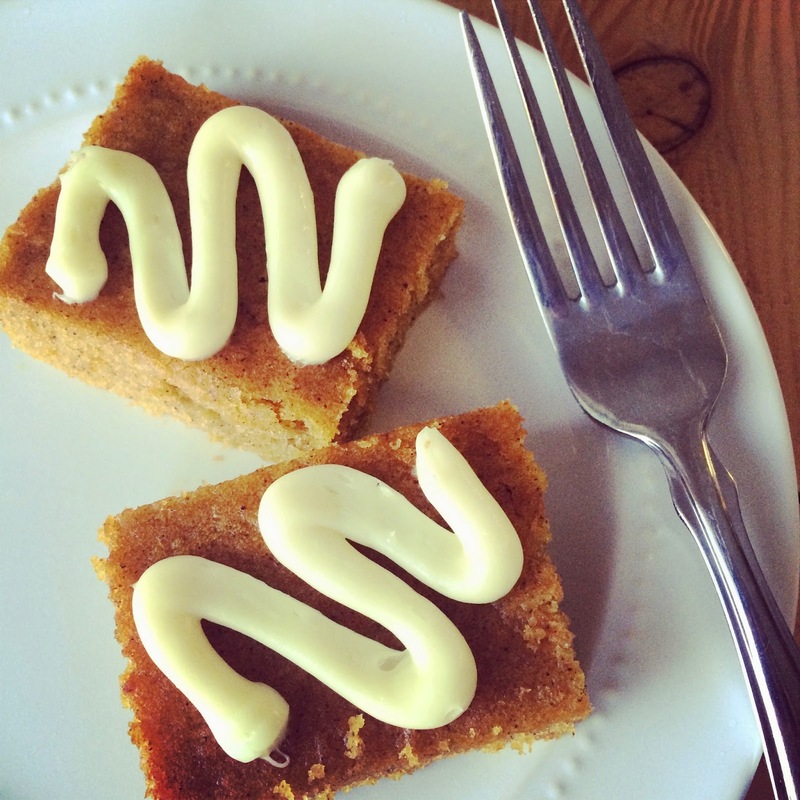 I just made pumpkin bread last week but obviously need to try these now because bars are so much different, right?! Can't wait for the link up! I've never been a pumpkin person, but even I think i could get on board with these. Sounds SO good! Love me some dessert for breakfast :) And they looks so pretty with your little swirl on top. So I already had breakfast, but now I'm ready for one of these bars! As usual another perfect recipe that I need to make! They look delicious. I think I want them right now. We just depleted the supply of Thanksgiving desserts...so clearly we need more. 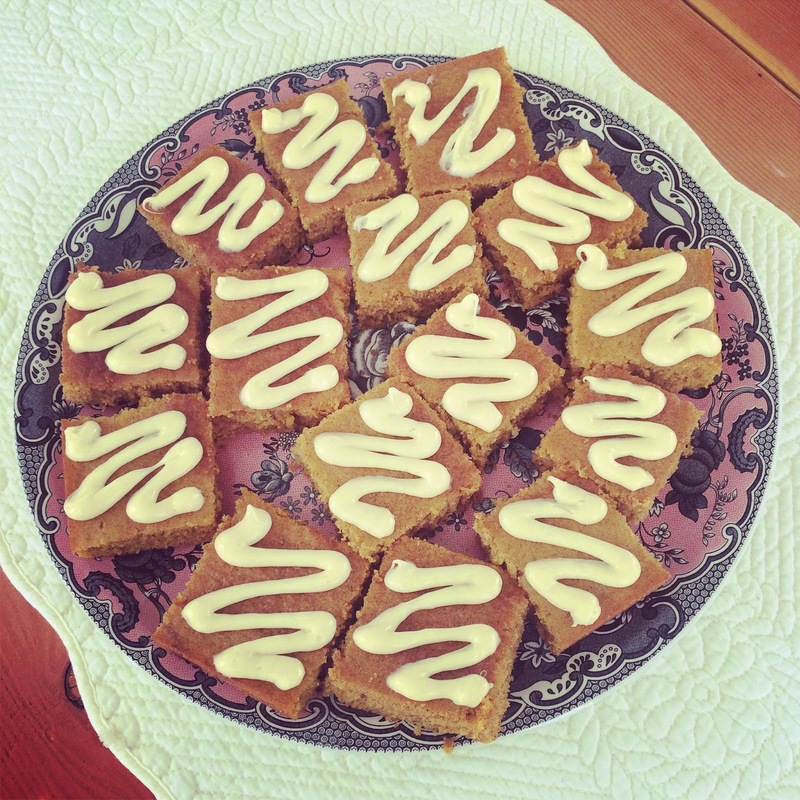 oooh I've been meaning to send Chris to work with some fall dessert! It got delayed when we were all sick, since ew. These look awesome! Hard to go wrong with pumpkin! And the holiday link-up sounds awesome! How fun is this?! Will be linking up for sure! Such a great idea for a link up!! I can't wait! Can't wait for the linkup! And those bars look delicious!